How much time do bạn spend on Facebook? Do bạn like Facebook's new chat feature? How Many Những người bạn Do bạn Have? I accepted a Những người bạn request and we were chatting through messenger. Two days later, I was trying to find her account and fb brings me to blank page that says 'content not found', I try to ask her Những người bạn about her account and they say the same thing. I think Facebook has good qualities but, it encourages unhealthy engaging bởi the quanity so in your ngày bạn lack in responsibility because of it. Example texting while walking hoặc riding a bike which to me is wreckless and irresponsible. Fun and work is good but,to balance the two is key. bạn can find many goods and services here like, I found a comix cửa hàng that I had been searching for through Google and I found it through facebook. I am not a Facebook hater just dislike some of their business practices. Criminal Case is one of the most được ưa chuộng games on Facebook. there are thousand of Criminal Case cheat available online, but all of them paid hoặc not-working, so we decided to make our own free Criminal Case cheats tool. Criminal case cheat tool will give bạn unlimited amounts of coins, energy and xp, making the game a lot thêm enjoyable. With all those items at your disposal, bạn will skip all the boring parts of the game, playing only the ones bạn really like. Also bạn will be able to play whenever bạn want, and not have to wait to gain thêm energy. If bạn are using Facebook a lot, bạn may have encountered this situation many times: There are some video clips, including âm nhạc video, movies, video made bởi your friends, etc that bạn tình yêu very much, but bạn can't download them to your computer to enjoy anytime bạn want. In this case, if bạn thought there is no way to forward, bạn are totally wrong. In fact, there are ways, even several, to download Facebook video to your computer. Here I'm going to introduce two of them to help bạn to download Facebook video to your computer easily. So, I just recently learned how bạn can change your Facebook status directly from your cell phone! And no, bạn don't need Facebook Mobile hoặc Internet on your phone, just Twitter!.. and I'm sure bạn already know what that is. But if not, Twitter is a free social networking and micro-blogging service that enables its users to send and read other users' những thông tin cập nhập known as tweets. In other words, it's JUST the status part on Facebook. Download clash of clans hack bởi clicking the tiêu đề "How to get gems in clash of clans?" 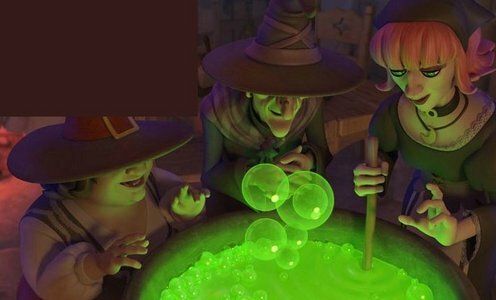 use the clash of clans gems hack glitch to get unlimited and free gems for clash of clans. a photo đã được thêm vào: BrainyDX - Website thiết kế | Digital marketing Company in Delhi. a comment was made to the poll: Have bạn got anyone from fanpop added to your Facebook friends?